A day saying that Islamophobia is a bad thing does not seem like an unusual or unexpected request in a country like Canada. After all, we recognize April 28 as a day of mourning for workers who’ve been killed on the job, and the internationally observed Jan. 27 memorial day for victims of the Holocaust. 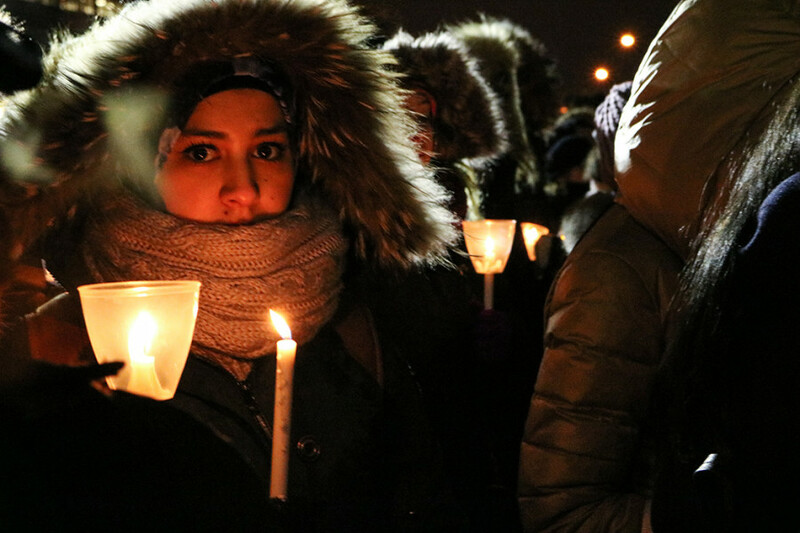 The National Council of Canadian Muslims, representing over 70 Muslim organizations nationwide, wrote an open letter to Canada requesting that Jan. 29 be made into a national day of commemoration for the victims of last year’s Quebec City mosque shooting. Furthermore, they requested that Jan. 29 also be marked as a national day against Islamophobia. Philiippe Couillard, the premier of Quebec, does not think the day should be marked accordingly, stating, “We believe that it is better to emphasize collectively our commitment against the phenomenon of racism and discrimination, rather than singling out one of its manifestations.” He reminded reporters that Quebec recognizes an internationally created day for the elimination of racism, Mar. 21. The Coalition Avenir Québec and the Parti Québecois have stated they do not want to mark the day that way either. The Prime Minister has yet to take a position. The letter does not ask for a national day of condemning racism. It asks for a day condemning Islamophobia since last year on Jan. 29, six people were brutally gunned down because of it. Couillard’s response is confused at best and discriminatory at worst. Islamophobia is not actually an act of racial discrimination and conflating the two demonstrates a lack of sensitivity and understanding of the difference between race and religion. Hatred exists on a spectrum. It would be absurd to suggest that killing someone and making a discriminatory comment are the same thing. They’re not. But they both exist as Islamophobic acts, killing obviously being the worst thing you can do. But discriminatory comments perpetuate a culture of hatred, in which Islamophobia thrives. Marking a day to generally condemn racism is great. But it’s not enough in this case. It’s not enough for the six people who died, the 19 who were injured, the families and friends of the lost, and the sense of safety that has been robbed from the Muslim community. Making the 29th a day of condemnation of the phenomenon that led to the deaths of these people is a symbolic gesture, but one with great meaning. It would serve as a national recognition of an inclusive society that does not want to see some of its members discriminated against. Couillard’s comment doesn’t make sense to me; he is essentially saying that he doesn’t want to single out one religion, when the entire attack was the result of a person who singled out a number of men, for belonging to a single religion and no other discernible reason. By saying he doesn’t want to single out one religion to commemorate a national day of mourning, he seems to miss the point of the mosque attack where practitioners of single religion were selected and murdered in their place of worship. The only reason that happened to them was because they had the misfortune of being Muslim in a mosque at the wrong time. By saying he doesn’t want to broaden the day of mourning to be about one form of racism, he is not being respectful of the fact that six men died, and one is paralyzed because they were attacked on the basis of their religion. This does not mean that all Quebecers are motivated by a violent hatred of Muslims, but it does mean that hatred of Muslims has been allowed to flourish, to the point where hate crimes increased and to the point where six men were murdered in a peaceful place of worship. Fred Burill is a doctoral student in the department of History at Concordia and has studied Quebec’s history extensively. Some of his research examines collective memory in the context of deindustrialization in Saint-Henri. Burill says that this is particularly true referring to Islam because Catholic Quebecois missionaries viewed Islam as their competition when evangelizing in Africa. Canada’s Muslim population has also grown considerably in the 21st century. The Muslim population in Quebec seems to have been perceived as a threat to the secular identity. This has been demonstrated with Bill 62 and Bill 101, both of which targeted Muslims unfairly. It’s understandable that different demographics might need time to adjust to each others. However, it is also clear that Muslims are the targets of hate in Quebec. He said that some Quebecois politicians have instrumentalized Islamophobia in order to build political support, and that the Liberals do not want to risk their hold on power as an explanation for Couillard’s refusal to support a day against Islamophobia. “If anything, […] a year from the massacre it’s actually more acceptable to be openly Islamophobic in mainstream discourse,” Burrill said. There must be corrective measures, and some of those are ceremonious such as a day of condemnation for atrocities like last year’s mosque shooting. She said that for various reasons up to two thirds of hate crimes against Muslims aren’t reported according to Statistics Canada. This means that the actual number of hate crimes perpetrated against Muslims could be higher. Nasr said many members of the Muslim community have been comforted by the love and support other Canadians have shown in the wake of last year’s shooting. “There has also been an increasing realization that growing Islamophobia must be confronted by everyone—that it is not just a problem Canadian Muslims (or those perceived to be Muslim) face, but that it is a problem for all Canadians to work to combat together, in solidarity,” explained Nasr. By not clearly condemning something, our elected officials are by default supporting it. By marking Jan. 29 as a day against Islamophobia we are making a commitment towards fostering a more inclusive and safe society.